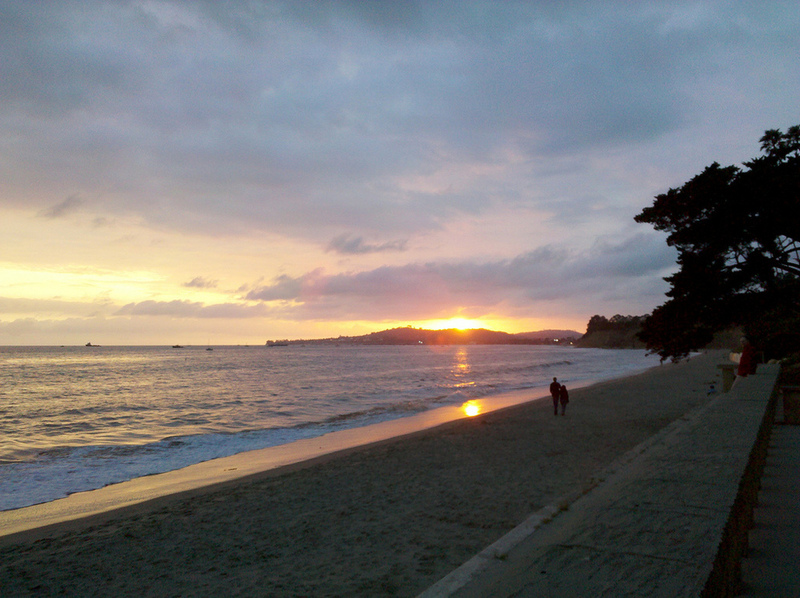 Sunset at Butterfly Beach – Awesome! Rode by Butterfly Beach this evening when I was out on my cycling workout. Snapped the picture below. Simply awesome! I love fall in Santa Barbara. This is why I live, train, and do triathlons in paradise! This post isn’t going to tell you how to setup the ideal, productive work environment. The truth is, we are all different and what makes each of productive varies. What you will get from this post is the pic of a very cool, warm, inviting and productive looking desk. There is so much you can read into while looking at this picture. The cups, the books, the wood, the window and the two vintage lamps all force the mind to drift off into a fantasy land. 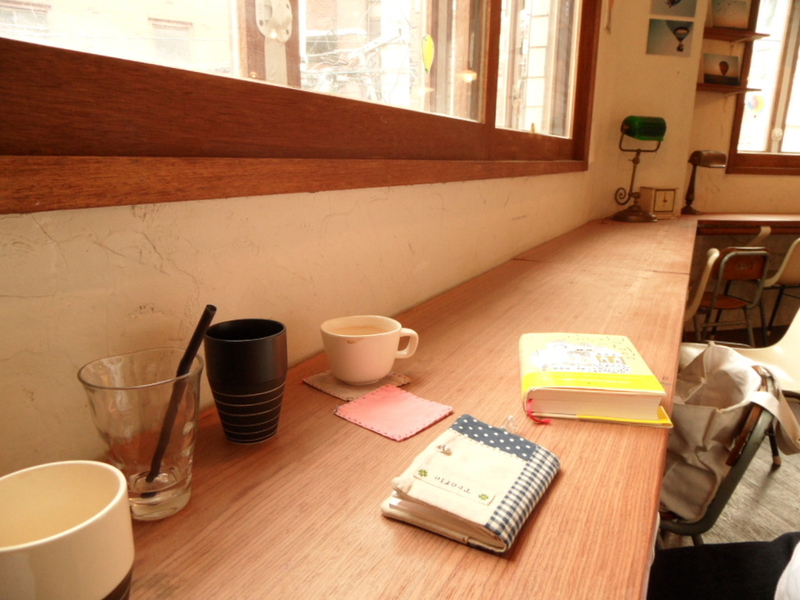 But wouldn’t it be so cool to have this workspace? I think so. Successful companies don’t appear overnight. Dreams are not reality simply by getting out of bed in the morning. Losing weight does not happen overnight. One thing we need to remind ourselves of constantly is that big, hairy audacious goals (bHAG) are the fruition of many small actions (MSA). If we focus our attention on the baby steps that lead to the bHAG, dreams are a reality. When I took the attached photo, I thought, “my gosh, that guy is going to be there for a long time!” I was going to post it on Twitter with some crazy, humorous caption. But then I realized what it represented. 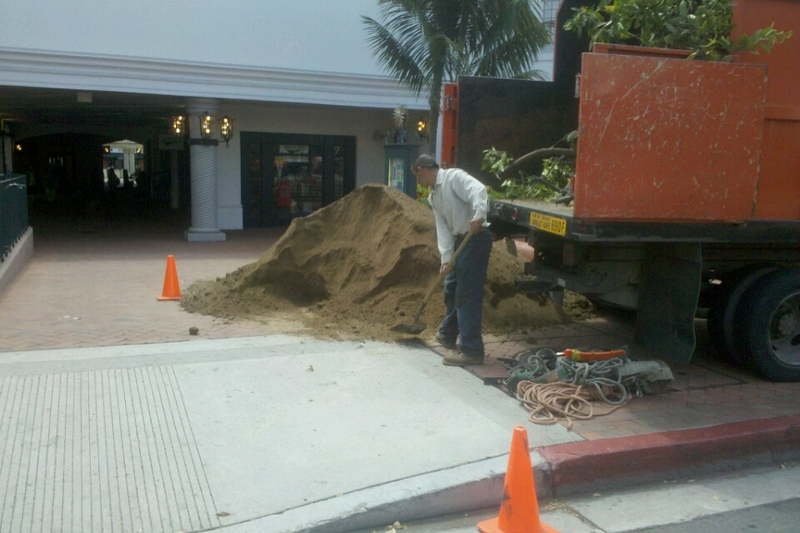 Sure the guy has a bHAG of loading the sand into the truck with just a tiny shovel. But each shovel full tossed into that truck is an action (MSA) toward the bHAG. Life is about taking one shovel load at a time and tossing it into the truck. Enjoy each toss, because that goal gets closer and the pile smaller with each one; enjoy it while it lasts. What are your bHAGs? Are you aware of each MSA that you need to achieve them? 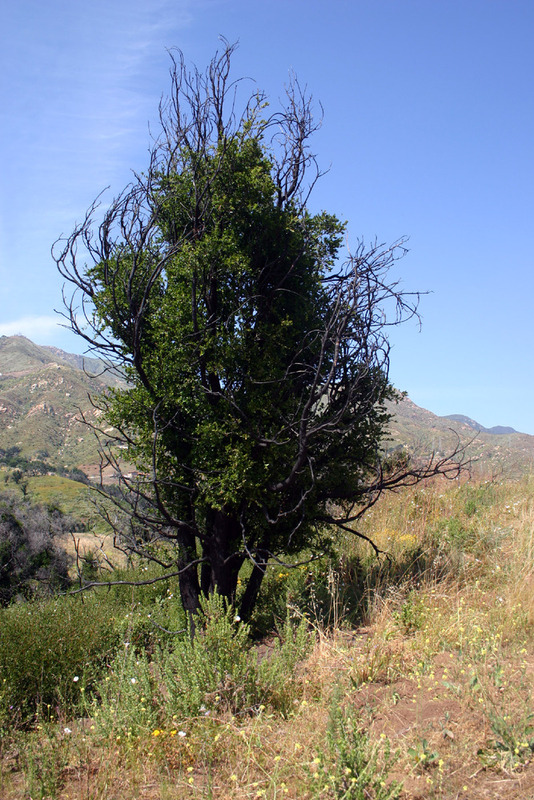 After the Tea Fire of 2008 swept through the foothills above Santa Barbara, burning more than 200 homes, I knew it would take a long time for our neighbors and nature to come home. While the house that I live in survived the fire, returning after that long scary weekend to scorched earth and devastation was heart-breaking. However, the landscape is slowly turning from brown, black ash to green again. In fact, there are numerous breathetaking sites to enjoy as life replaces scorched death. Take the picture above, taken today at Parma Park above Santa Barbara. The strangely curved, scorched branches mimic fire while the leaves represent life trying to fight free of death’s grasp. The image is an excellent example of using patterns to enhance mood and drama. Image copyright – 2010 Aric Monts-Homkey. Cannot be reproduced in anyway without Aric’s written permission. 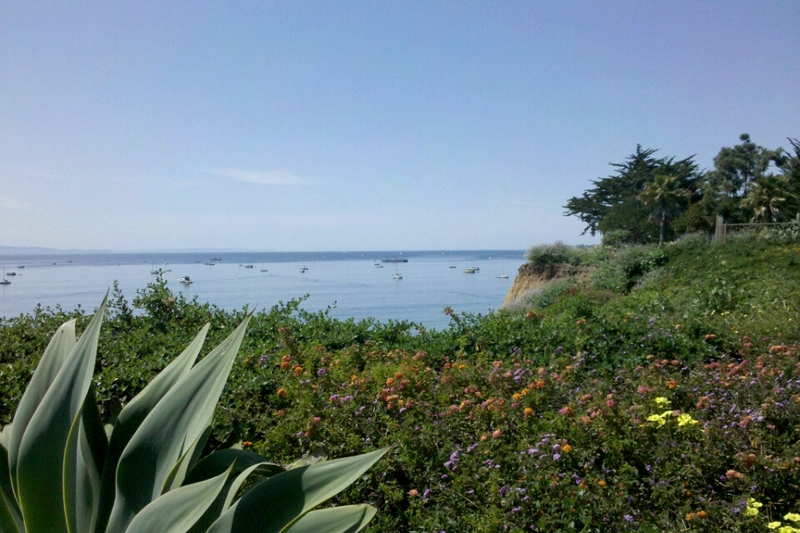 Living in Santa Barbara, California has its advantages despite the high cost of living and killer allergy season. The attached picture was taken near Butterfly Beach during my run. The weather and view was spectacular!